One thing I love about my LSS (Local Scrapbooking Store) is that they have a crop night every Wednesday. I have been going there for years and have met the most amazing women who have become dear friends. Another great thing is that we can shop while we craft. So I always managing to find goodies to buy. Above are two new stamp sets I bought. The Ali Edwards for Technique Tuesday stamps I got for 40% off. I plan on using it for my Project Life. 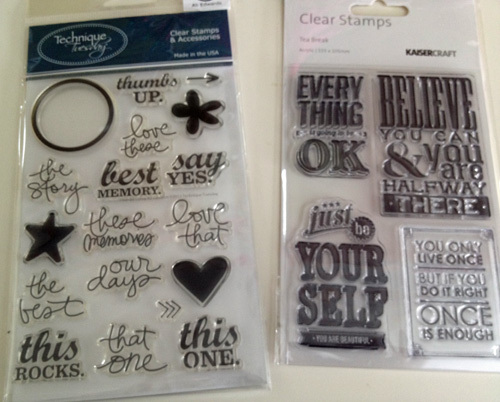 The Kaiser Craft stamps on the right will be great sentiments for my cards I make. 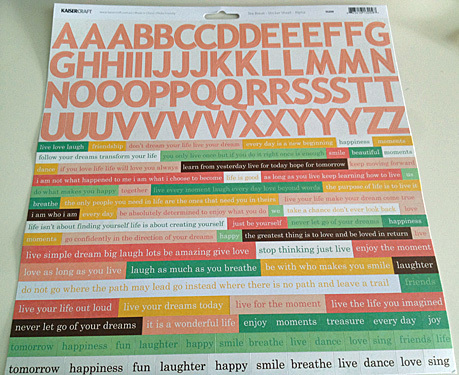 I just had to have this letter sticker sheet with all these great phrases in pretty spring colors. I will be using these in Project Life as well as scrapbook layouts. Of course I had to buy the 6×6 pad that goes with the sticker sheet. The colors are great for spring and Easter cards. 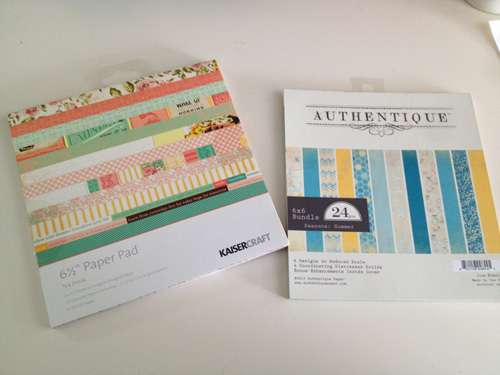 The Authentic paper pad on the right will be great for summer cards. I can’t tell you how much I love these shades of blue and yellow. 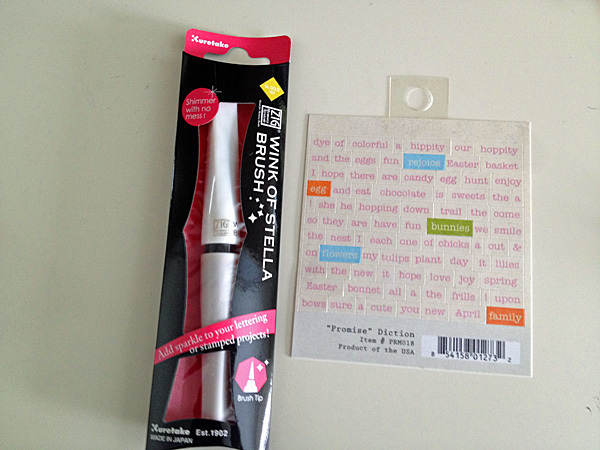 I have been hearing a lot about these Wink of Stella markers and I finally got one. I am going to try it out on some cards. I am thinking they can add a little sparkle. The easter phrase stickers were so cute. I just had to have them. They are small enough to stick on PL photos. Especially the easter egg hunt we always have for the boys. You are an amazing woman who is a dear friend to us too! Hugs! !